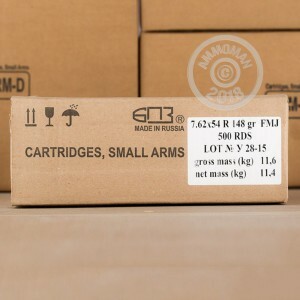 AmmoMan.com has the perfect ammo you need to keep that old Mosin Nagant firing. 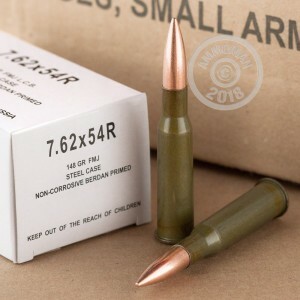 This bulk package of 7.62x54R ammunition is loaded with a 148 grain FMJ bullet, which is perfect for range training and plinking with your friends. This ammo will have slightly less kick that the Bulgarian or Russian surplus that flooded the market, and this ammo should be a good bit more consistent, helping you to get every thing out of that old rifle. 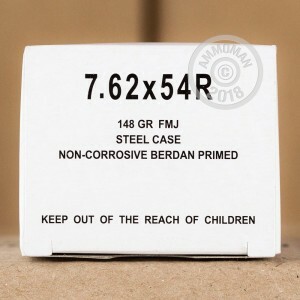 These rounds use Berdan primed steel, are non-corrosive, magnetic, and can not be reloaded.